We are NOT in Chachimbiro, however we are very close; only 15 minutes by car! 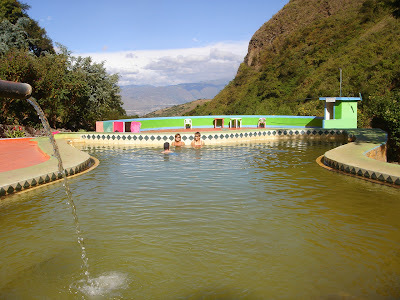 The thermal baths are well known in the region. The baths are frequently visited because of the medicinal effects of the water. The baths are open every day from 07h00 to 22h00. The entrance fee is US $5.00 for the pools and US $ 10.00 for the Spa area.